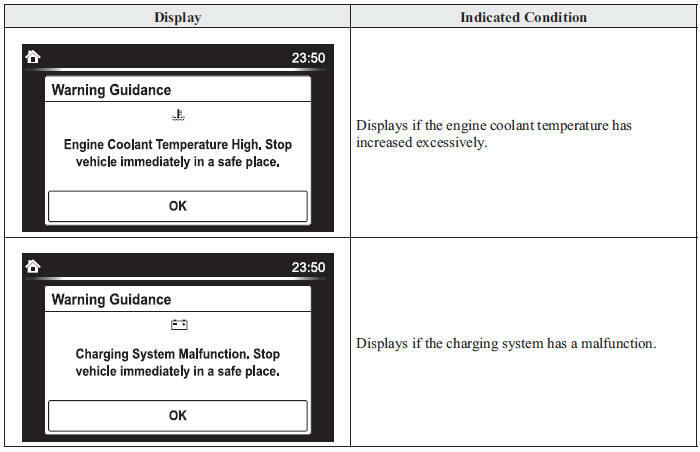 If a message is displayed in the centre display (Type C/Type D audio), take appropriate action (in a calm manner) according to the displayed message. If the following messages are displayed in the centre display (Type C/Type D audio), a vehicle system may be malfunctioning. Stop the vehicle in a safe place and contact an Authorised Mazda Repairer.